After launching Funter you get access to the app from the Menu Bar. Use the slide button to show hidden files and hide them again. Note: Funter “remembers” the state after the relaunch. 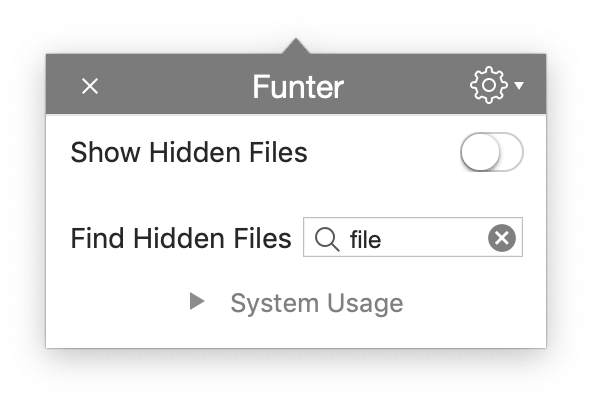 All you need to find hidden files is just to type the name of the file in the finder field and press Enter. 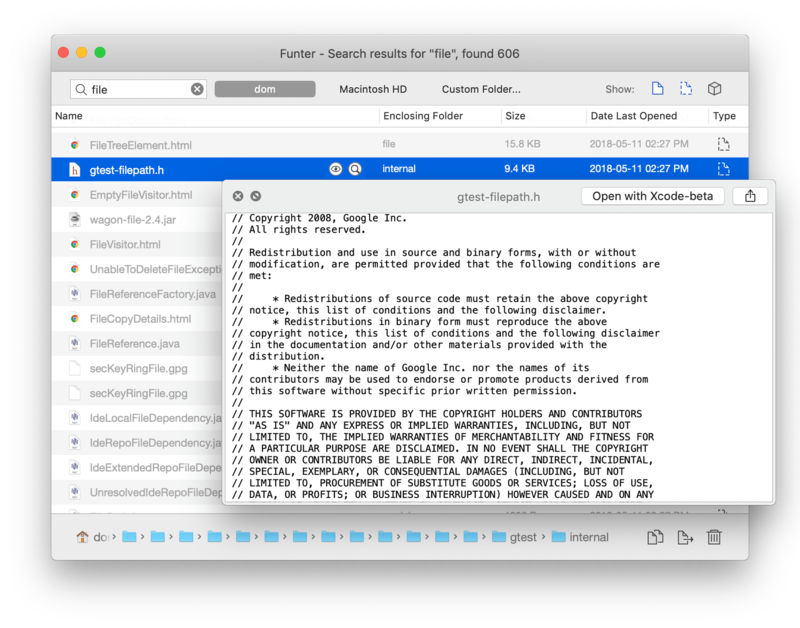 Funter allows you to choose a folder to search, shows all hidden files, regular files and files in package content. 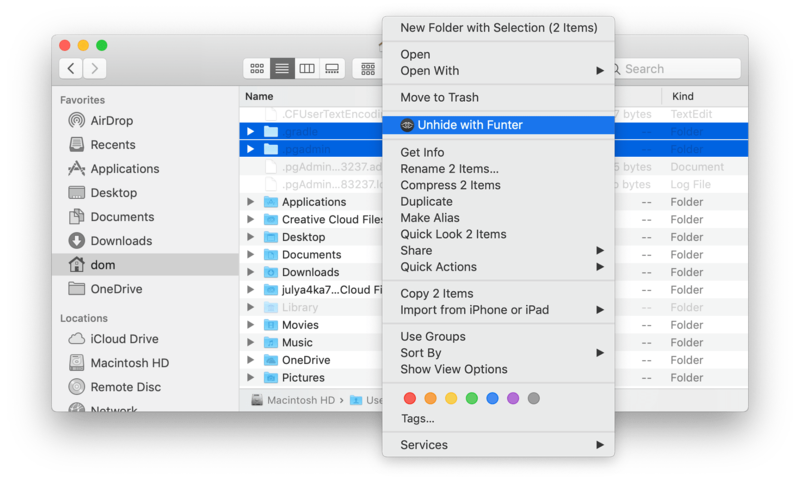 You can preview the files from Funter or forward them to the file location in Finder. 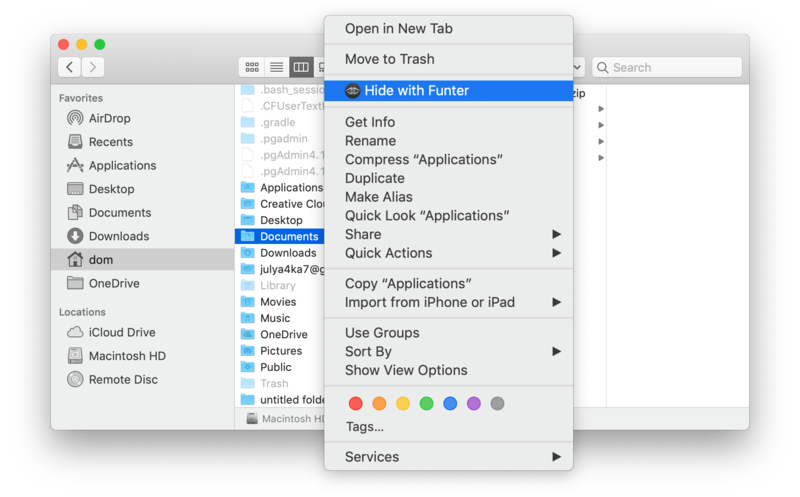 Funter integrates to Finder and adds its own command to the context menu. 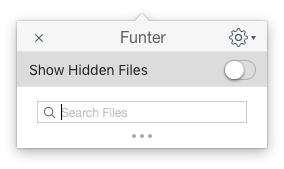 Select a file and click on “Hide with Funter” from the shortcut menu or from the context menu to hide a file. If you need to unhide hidden files use as well shortcut or context menu, but firstly, make hidden files visible. Enable “Show hidden files” in a Funter menu. 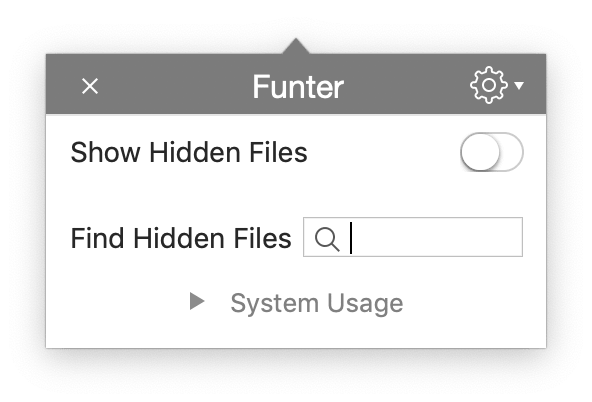 Select any file or folder you want to unhide and click on “Unhide with Funter”. Need to find hidden files?